MVP Rewards program has been officially launched in the Philippines. The rewards program is designed to create a mutually beneficial relationship between brand and customer. The latter’s continued patronage to PLDT-Smart products and its partner brands will be rewarded with points and perks. Studies show that Filipinos keep up to 11 rewards cards in their wallets or purses. This is to ensure that every purchases, whether groceries, pizza or coffee, counts. This opens a window for MVP Rewards to step up and introduce a more superior card that comes with no expiration of points. Earn points for paying something essential and inevitable like your monthly bills. And not just points – points AS GOOD AS CASH. It’s a simple yet innovative approach that goes beyond rewarding consumers, and now, it’s a reality. 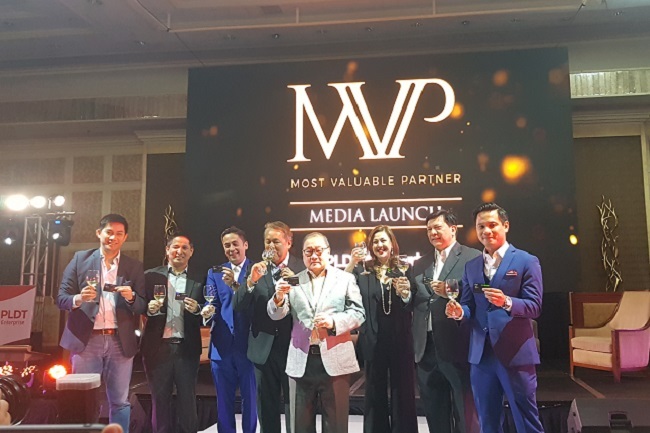 Pioneered by the PLDT Group, MVP (Most Valuable Partner) Rewards is an innovative program that allows PLDT Home, Smart, Sun and TNT customers to earn points that are good as cash just by paying for the basic necessities of modern day living – mobile and internet. Points earned from different accounts are credited into the MVP Rewards Card powered by PayMaya. With this, customers can choose how they want to enjoy their rewards without ever having to worry about expiration dates. And because points are good as cash, it can be used to shop or dine locally and abroad. “MVP Rewards is in a category of its own. We’ve taken what is best across industries and put it in one powerful program that offers more than just rewards. And the PLDT Group has the unique ability to provide this level of convergence owing to the breadth of our combined services,” said PLDT Chairman and CEO Manuel V. Pangilinan. How to get points in Paying Bills thru MVP Rewards? With MVP Rewards, if you’re a customer of PLDT Home, Smart or Sun postpaid, every time you pay IN FULL and ON TIME, you are immediately credited with points as GOOD AS CASH. Prepaid Smart, Sun and TNT customers, on the other hand, earn points every time they load up. The more accounts you enroll in this program, the more points you get AUTOMATICALLY since earned points from each service of each company are credited and consolidated into one wallet. With the MVP Rewards program, you can shop or dine anywhere and at anytime you want, just like using a credit card or a debit card. That’s because the points you earn are as GOOD AS CASH and HAVE NO EXPIRATION DATE and the MVP card itself is powered by PayMaya. This allows it to function as a prepaid card, which makes it your safest choice for shopping, both online and offline. Unlike credit cards which rack up interest and debit cards which are connected to your salary or personal savings account, the MVP Rewards Card can help you manage your expenses by loading ONLY WHAT YOU’RE WILLING TO SPEND. So if you’re going out of the country and you want to keep your shopping habits in check, you can conveniently use the card by loading it and by swiping as a VISA card. You can even use the card to pay your toll fees. The MVP card also has Paywave function which means it can be used as ‘tap card’ when paying for toll fees in Cavitex. For starters, customers enrolled in the program are automatically included in regular member-only raffle draws. Here you get a chance to win big rebates for your phone, cable, Internet, and utility bills! How to get the MVP Rewards Card? Qualified subscribers who sign up for the MVP Rewards Card on or before February 28, 2018 will get their very own sleek black personalized card delivered right to their doorsteps for FREE. MVP Rewards members can also earn more points as good as cash plus enjoy up to 15% savings if they subscribe to the PLDT Best Buy Bundle offer – product bundles that enable subscribers to mix and match the best unlimited Internet service from PLDT Home Fibr, fastest LTE from Smart, and Cignal HD TV. Sign up for your own MVP Rewards Card and enroll your PLDT Home, Smart, Sun and TNT accounts at www.mvprewards.ph.